Coach Ivan Lendl has made a major impact on Andy Murray, helping him reach #1 in the world at the age of 29. Age is but a number when you look at what has happened in the tennis world this year. While the very young players have still made inroads, it’s been the more mature-aged players who have actually snatched the headlines. After she won the US Open, Angelique Kerber, at age 28, became the oldest woman to debut as world No.1. Now, Andy Murray, at age 29, has become the oldest man to debut as world No.1 since John Newcombe in 1974 and the 26th overall. By reaching the final of (and eventually winning) the BNP Paribas Masters in Paris-Bercy, Murray had gained enough computer ranking points to pass Novak Djokovic by the slimmest of margins when the rankings were released on November 7th. Earlier in the year Andy’s 30 year-old brother Jamie (a spring chicken in terms of doubles tennis) ascended to the top of the doubles rankings. It’s the first time two brothers have reached the top ranking in singles and doubles in the same year – an incredible achievement for both. To see players of a more mature age gaining the bulk of attention in tennis is a tremendous positive for sport. There was a time when observers in tennis believed days like that would never return, that the young ones had created a generation gap. But players now on the eve of being 30-somethings, and even those well into their 30’s, have brilliantly proven there is still plenty of life in them. Serena Williams and Roger Federer, both playing at a high level at age 35, are two perfect examples in the singles game -- and then you have Stan Wawrinka (31) who has really only hit his stride in the last three years. The constant development of training methods, diets, and focus and hunger has changed all the conventional thinking. These players have still got so much to give and the drive to achieve even more is incredibly fascinating to witness. They are teaching the “upstarts” a thing or two and, adding to the benefit for tennis, providing a gradual baton change rather than something sudden. Murray’s rise to the top also shows that this is a sport for stayers and not gallopers. We watched so many gallopers in the ‘80’s and early ‘90’s and what happened? They burned out. Certainly the individual has to produce the goods on court but also what must be recognized is the team around a player. Murray is incredibly comfortable with those around him and what he has now is just what he needs. 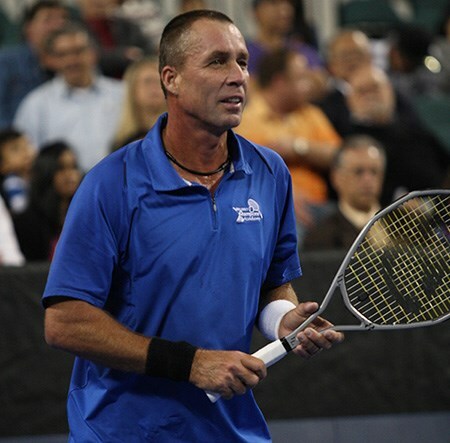 While every respect is paid to all in the team, the glue that’s sealed it all is coach Ivan Lendl. Lendl’s experience has been vital, he knows all about winning and being No.1. He’s the one constant who guided Murray to three majors and two Olympic gold medals and now the world No.1 ranking. He always said “get the results and the ranking will take care of itself”. “Obviously I have nice memories of becoming No.1, it’s a great achievement for Andy and I’m very pleased for him,” Lendl said. Could Murray’s achievements this year lead to a knighthood? We’ll see, but “Arise Sir Andrew Murray” would be pretty cool. Follow the BB&T Atlanta Open on Twitter, Facebook, Instagram and Snapchat.